Whether you need a small or large amount of storage space, Datum 4Post Steel Shelving provides a flexible solution for your library or file room. Especially suited for any school library. 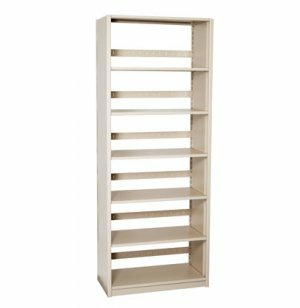 Using 4Post uprights and shelf supports, you can create your own custom storage solution. 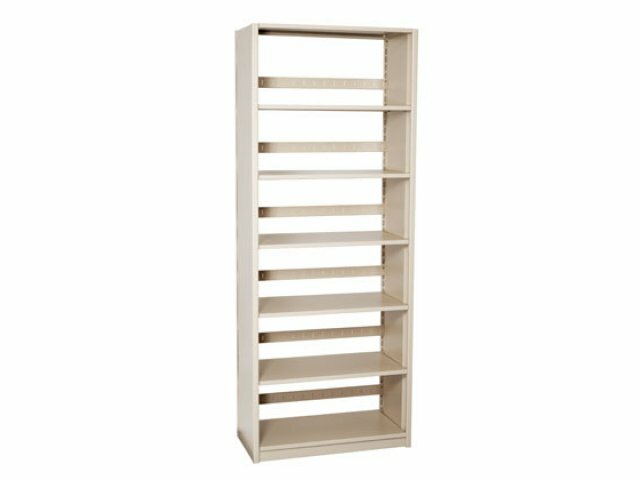 Adjustable shelving holds many forms of media including: books, medical records, X-Rays, legal records, and binders. Datum has been manufacturing quality storage and filing systems for over 40 years. Their steel library shelves are a prime example of their made-in-the-USA workmanship and unyielding commitment to excellence. Strong: Made from 22 gauge steel. Flexible: Available in single or double-sided units. Versatile: Store books, medical records, X-Rays, legal records, binders and more. Optional Back Panels: See accessories. Safety Note: To prevent tipping it is recommended to secure the double-sided units to the floor or ceiling and the single-sided units against a wall.